In the next two days, I will join our colleagues, one person from the Government of Indonesia, three from the Provincial Government of North Kalimantan (Kaltara), including eight people from WWF Indonesia and WWF Malaysia to explore the Bornean elephant habitat area. The morning has just started, and sun slowly begins its task. I hung my backpack onto my back and tie my shoes. I stepped lightly to the dining room to charge up for my activities today. At there, eight people have gathered to make a long journey together to explore the area in Sabah, Malaysia, namely Zillion Fortune Sdn Bhd and Sabah Softwood Berhad. 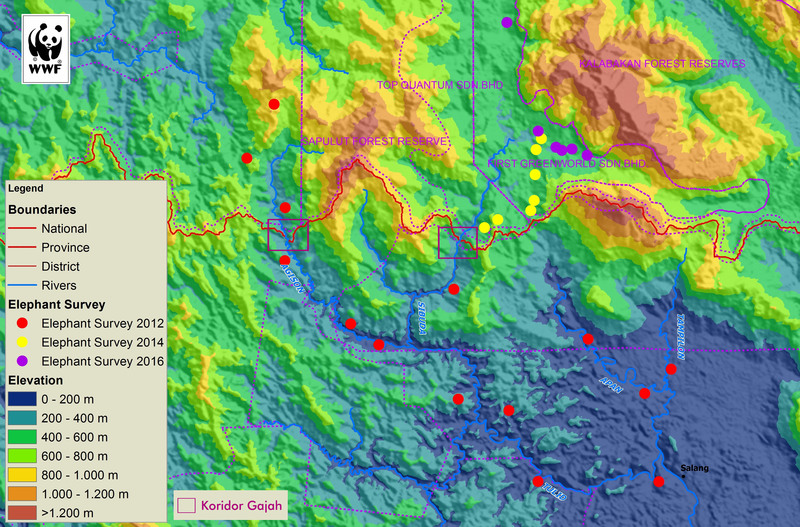 In the next two days, I will join our colleagues, one person from the Government of Indonesia, three from the Provincial Government of North Kalimantan (Kaltara), including eight people from WWF-Indonesia and WWF-Malaysia to explore the Bornean Elephant habitat area. This visit was carried out as a continuation of the Sabah Government's visit to elephant habitat in Tulin Onsoi District, Nunukan District, Kaltara last February 2018. Borneo Elephants has been included as endangered species on the IUCN Red List. 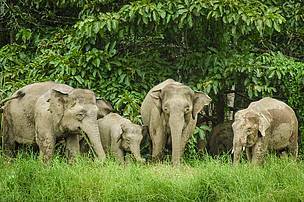 So far, based on informations from the Sabah Government, the elephant’s populations are 1,500 individuals, while according to a survey conducted by WWF-Indonesia in 2012, the population in Kaltara ranges from 30-80 elephants. Many activities and decisions have direct impact on the population of elephants. Habitat conversion for the development of oil palm plantations and industrial plantations is a major issue that has led to reduce habitat for Borneo Elephants, both in Sabah and Kalimantan. Habitat conversion also causes conflicts between elephants and humans because of the use of shared area. In this 2-day trip, we got a lot of learning and sharing experiences. 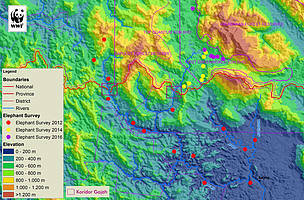 Some adaptation and mitigation measures are carried out by the region we visited. The most interesting part of this trip was the dedication of the companies to provide special corridors for elephants in their areas. The Zillion Fortune Company, which engaged in industrial plantations, obtained permission in 2014 for 100 years with an area of ​​10,833 Ha in the Sepulut FMU area 25. The existence of elephants is also a major issue where they must be involved in their conservation efforts. 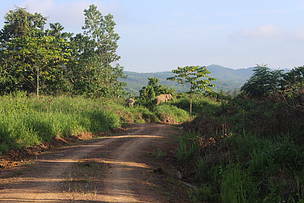 At the bottom of their concession which is directly adjacent to Nunukan, Kaltara, the Sabah government has made a buffer corridor with a width of 500 meters. 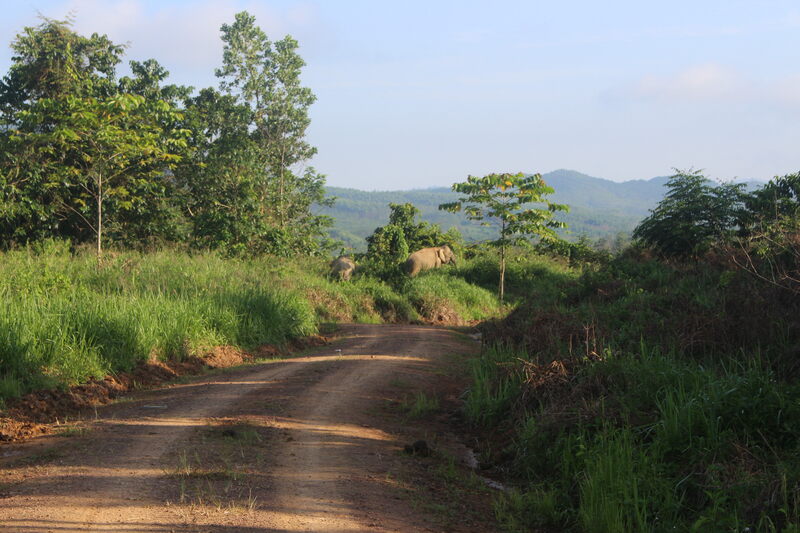 In addition, Zillion Fortune provides 1,692 Ha to become an elephant movement corridor in Sabah and Kalimantan. This is so that the elephants who are there have their own movement without needing to enter the community area. We visited the area of ​​another company, Sabah Softwoods Berhad, and had the opportunity to see 20-25 elephants directly. The elephant encounter is found in and around the corridor. Elephant and human interactions are common in the area. Allowing elephants to remain in their concessions is somewhat unique. The company reserves the conservation area for elephants through an elephant corridor covering an area of ​​1,228 Ha which can link their movement to the forest area. Furthermore, conflict management by Sabah Softwoods Berhad is carried out through food supply. If 1 individual elephant in a day needs 150 kg of food, then this company has thought of supplying 750 kg - 900 kg of food in this region. Even in some places plant enrichment has been carried out to maintain the availability of elephant feed. Sabah Softwoods Berhad is a Company that has a business license in the development of industrial plantations and oil palm plantations under the Sabah Foundation for 60 years since 1997 with an area of ​​60,700 hectares. The area division for the business permit covers 26,998 Ha for industrial plantation activities, 28,489 for oil palm plantations and 5,213 for conservation areas. Although the intensity of the conflict of elephants is still low, the two companies have anticipated it through the installation of an electric fence in the area that has just been planted. 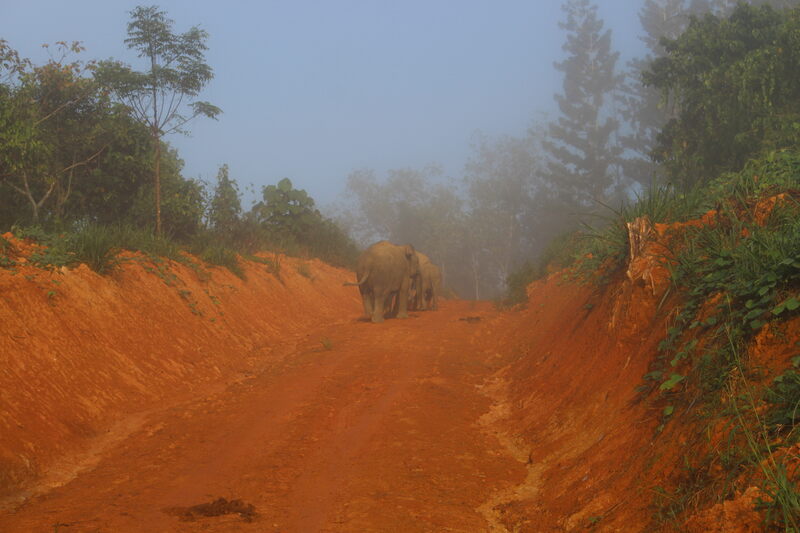 Regular monitoring and patrols are carried out by both of them to lead elephants so they do not enter the planted area. Plants that are eaten or damaged by elephants are a risk for them and will usually be tried to be replanted. They are aware that elephants need space to move and also need food sources. They also understand that the existence of elephants can cause conflict with humans. Making corridors and providing forest areas is important for elephants. Currently the total number of wild elephants in their concessions are 50-60 individuals, and they continue to manage these elephants to reduce the risk of extinction. Jufri, staff of the Kaltara Regional Development Planning Agency, stated, "I am very grateful and happy to be involved in this visit, especially being able to meet elephants directly." The sighting of elephants in the Nunukan area is very rare because of its small population and wide habitat. "The learning gained is that humans can actually live side by side with elephants. "Human business activities in the forestry and plantation sector can be carried out, while space for elephants is provided," Jufri continued. The Kaltara Government will certainly be committed to safeguarding and preserving the Borneo Elephant. The HoB program will be a bridge in building a cross-border cooperation in managing corridors in Sabah and Kalimantan. This 2-day trip was exhausting for me. However, the satisfaction I saw from all the participants, and the learning that I got was not comparable to that fatigue. The sight of elephants crossing the corridor provided made me really pleased. 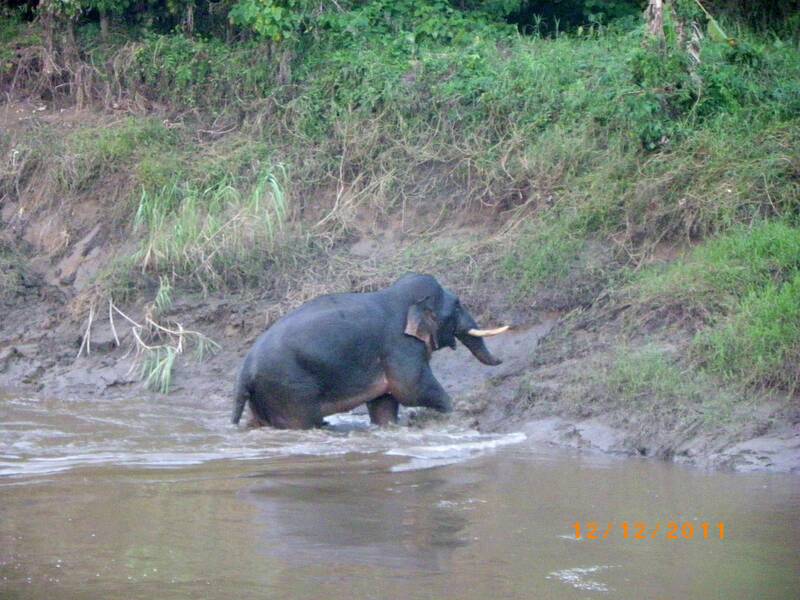 This effort may be simple, but from this simple one can help preserve this endangered Bornean Elephant.